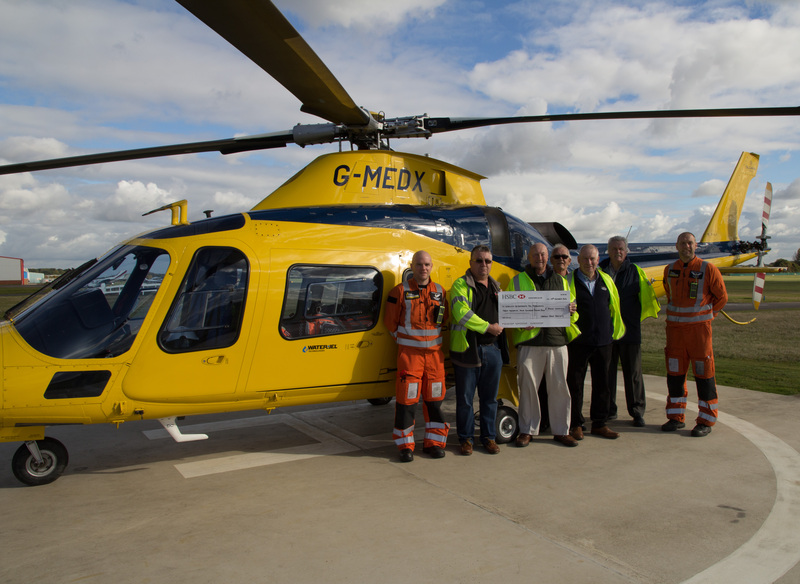 On Wednesday 19th October 2016, a number of the Golf Society Members went along to the base of the Warwickshire and Northamptonshire Air Ambulance @ Coventry Airport. We were treated to a fantastic insight into the work of the Air Ambulance and a reminder of how important their work is. NGS Captain Roly Oliver was on hand to handover a cheque for £3,400 which the society has raised this year under his captaincy….